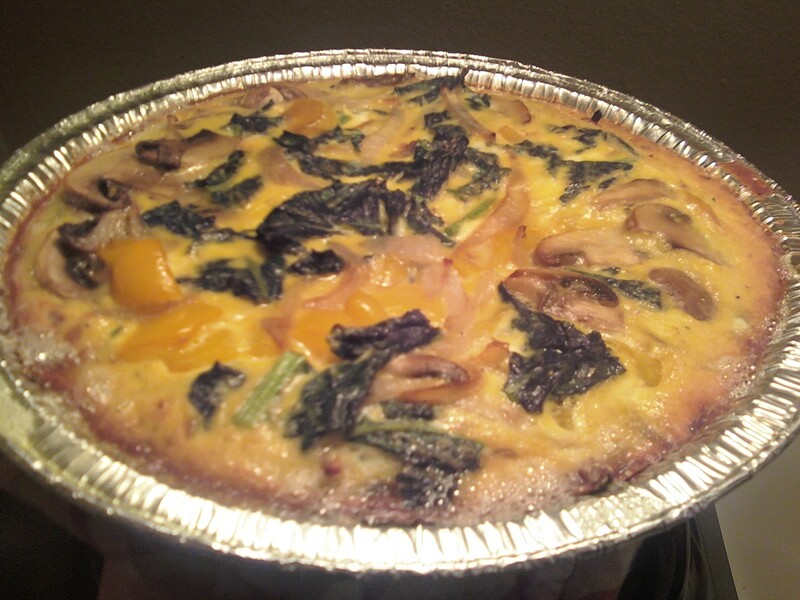 Or for any other meal… but for me, tonight, it’s going to be Quiche. Of course sans grains, sans gluten and wheat, made with good ol’ nutritional almond flour and lots of love! Pre-heat oven to 350. Mix dry ingredients together in a bowl. Mix the grapeseed oil and water together then add to the dry mix. Scoop into pie pan and press into the bottom and sides. Bake for 12-15 minutes. Saute veggies in Olive oil for about 5-6 minutes. In another bowl beat eggs & add the ricotta cheese. Add sautéed veggies to the egg mixture & pour into pie pan. Cook at 350 for 30-35 minutes and let cool before serving. This entry was posted on Tuesday, January 18th, 2011 at 3:24 am	and tagged with almond flour quiche, baking with almond flour, cooking without gluten, cooking without grains, gluten-free baking, gluten-free cooking, grain-free, paleo diet, primal diet, wheat-free and posted in Baked Goods, Breakfast. You can follow any responses to this entry through the RSS 2.0 feed. « A Primal Pie Crust & Apple Filling!